Rewritable card printing technology, somewhat unknown but very useful! Rewritable card printing technology, how does it work and why is it so useful? 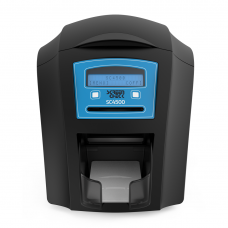 Card Supply is increasingly being asked about the rewriting technology that our ScreenCheck ID Card Printers offer. We hope to inform you about this by writing an item about the possibilities of the rewriting technology. 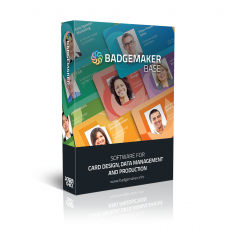 Choose for rewritable cards when the cards are use temporary and need to be reset and reprinted. Think of specific temporary card details of a membership card, visitor’s pass, student card or customer card. 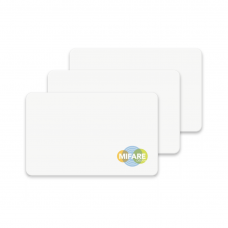 The use of a rewritable card is cost effective, flexible and environmentally friendly. Rewritable PVC cards can be reprinted up to 500 times, without using the printer ribbon. In addition to direct-to-card printing, the card printers SC2500, SC4500 and the SC6500, also include the flexible rewritable card printing technology. Rewritable cards have one glossy side for color/monochrome printing and a rewritable side with thermochromic finish printing blue or black. The thermochromic material can be reprinted up to 500 times. For example, with the SC4500 and SC6500 you can print a color design on one side of the card. Then remove the print ribbon to use the rewrite function and manual feed slot every time you want to print, delete or reprint information in blue or black. How does the rewriting of a rewritable card work? The ScreenCheck Card Printers with rewritable print technology do have a print ribbon but is not used for printing on the rewritable surface. The heating and cooling process required for rewriting is made possible by the thermal head in the printer. At the front of the printer is a manual feed slot with which a card can be printed, deleted and printed again. A rewritable card can be printed and erased by heating the thermo-sensitive material on the surface. The rewritable passes are an innovative idea, the cards provided with a special matt material becomes visible when heated to 180 °C. The same material also reacts at a lower temperature by becoming invisible between the range of 110-160 °C. So the plastic card with the thermochromic material can also be erased by heat and reused. Comments Off on Rewritable card printing technology, somewhat unknown but very useful!